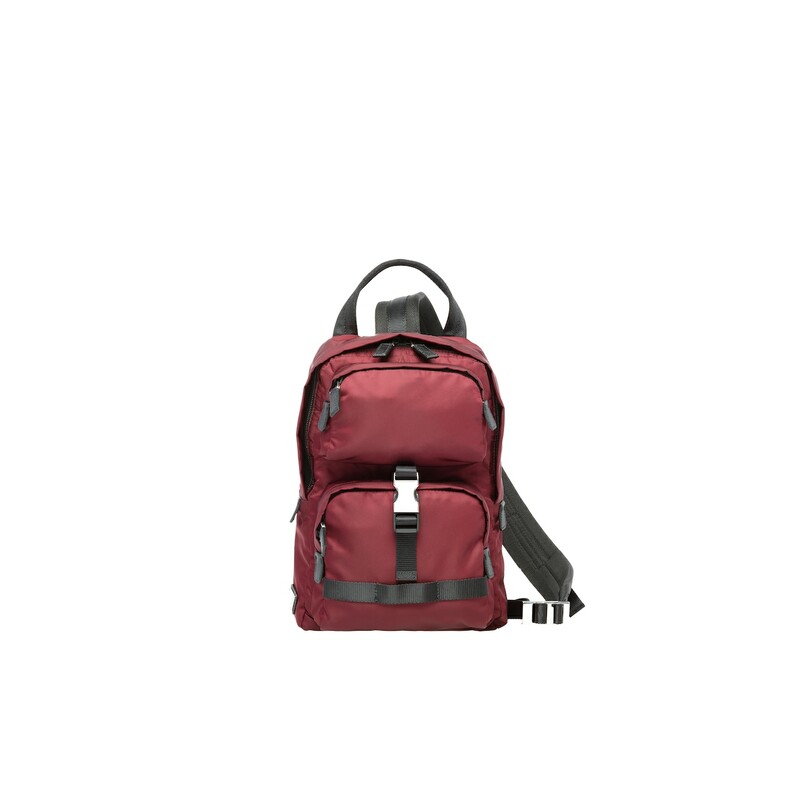 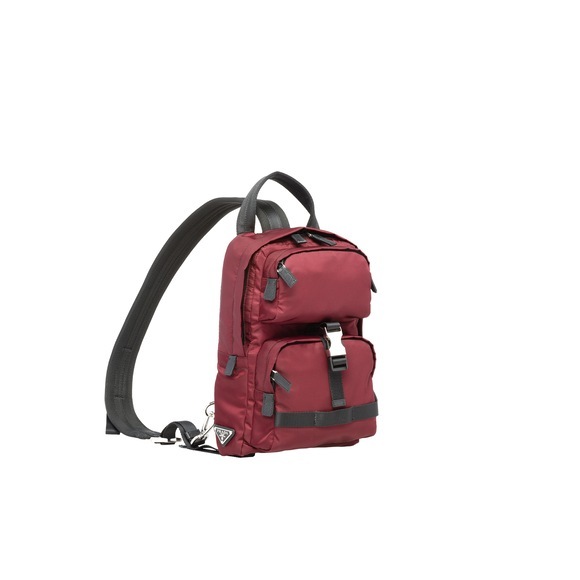 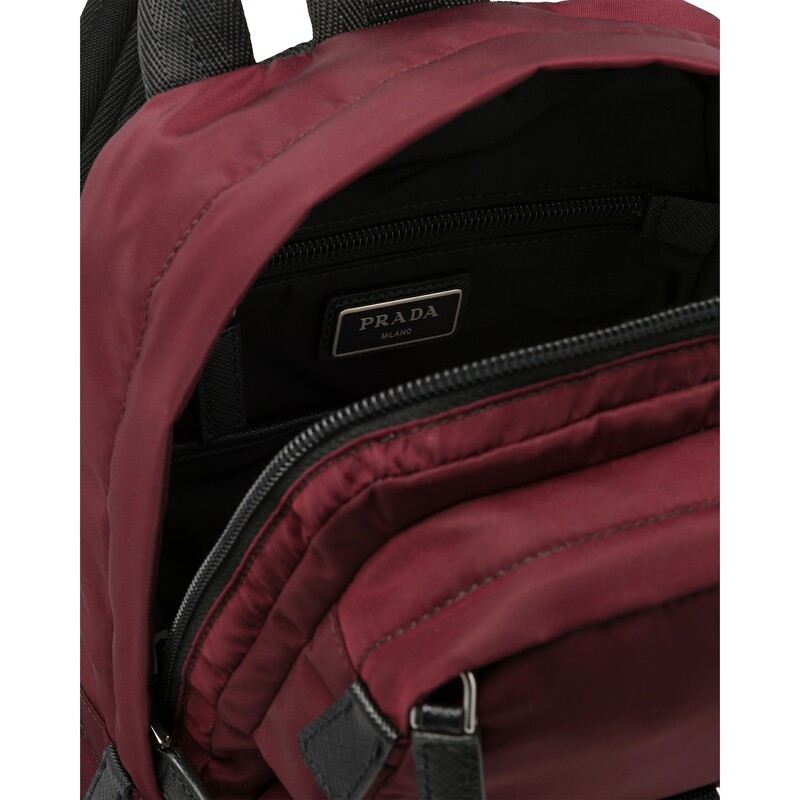 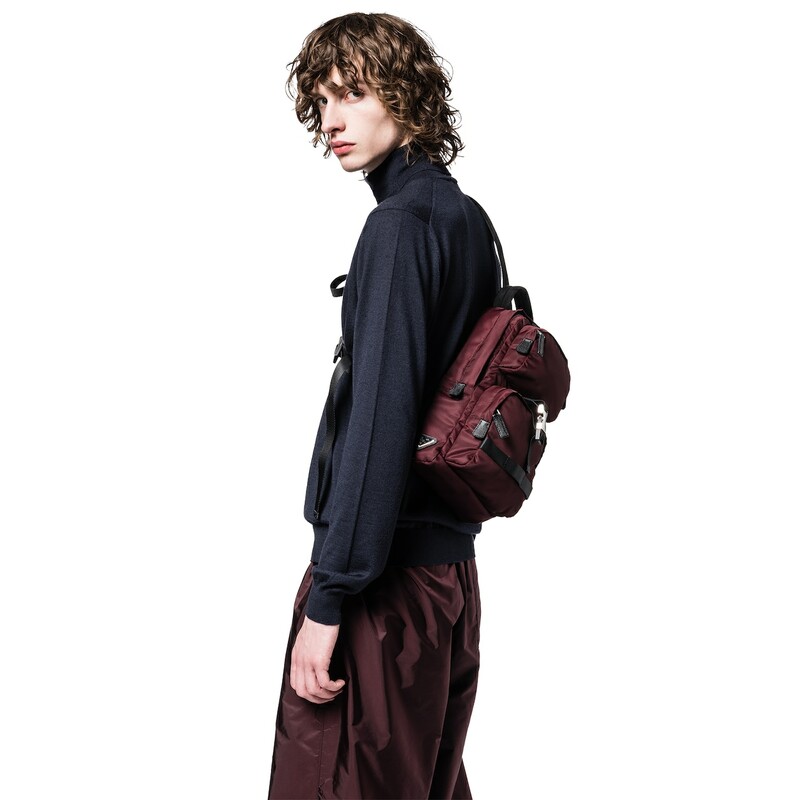 This technical fabric backpack is defined by two outside pockets and buckle engraved with Prada lettering. 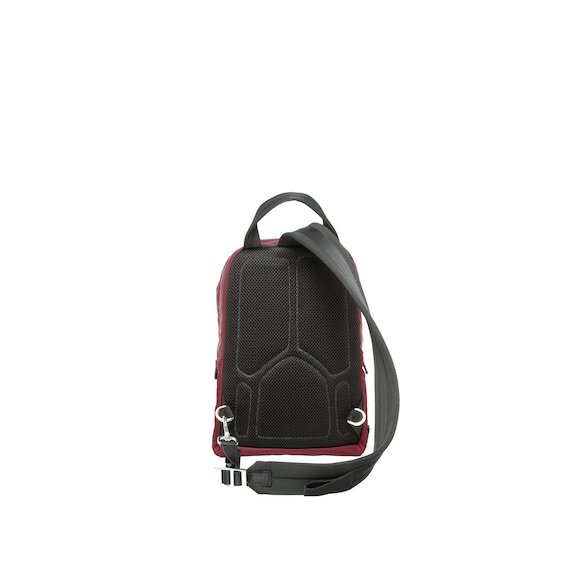 The shoulder strap can be affixed in two places so it can be worn on the right or left side. 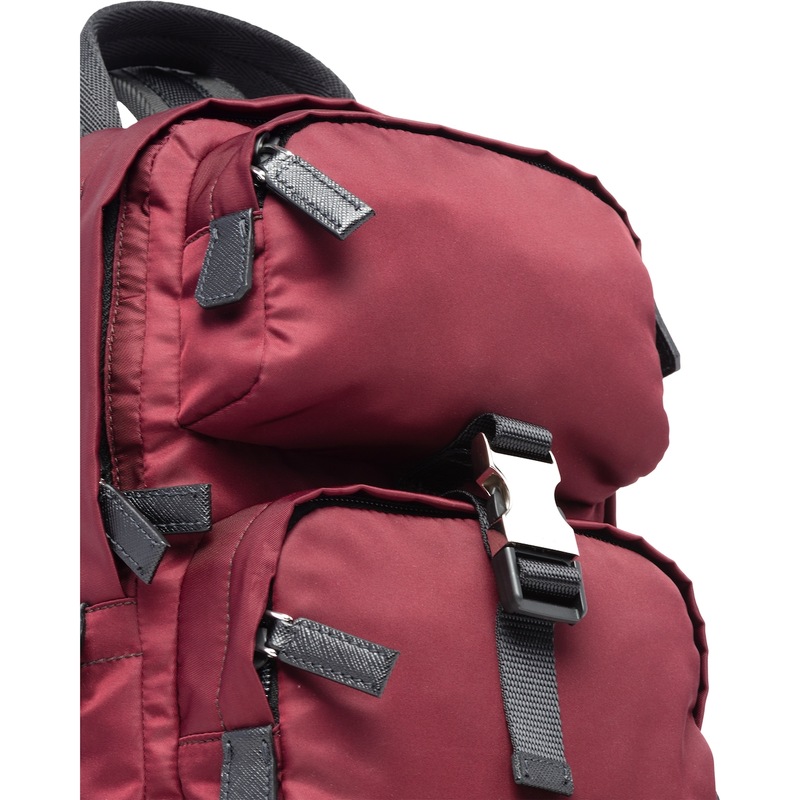 The back is padded.